This part of road trip was the most interesting one. It was a very long journey from Jogja to Probolinggo. 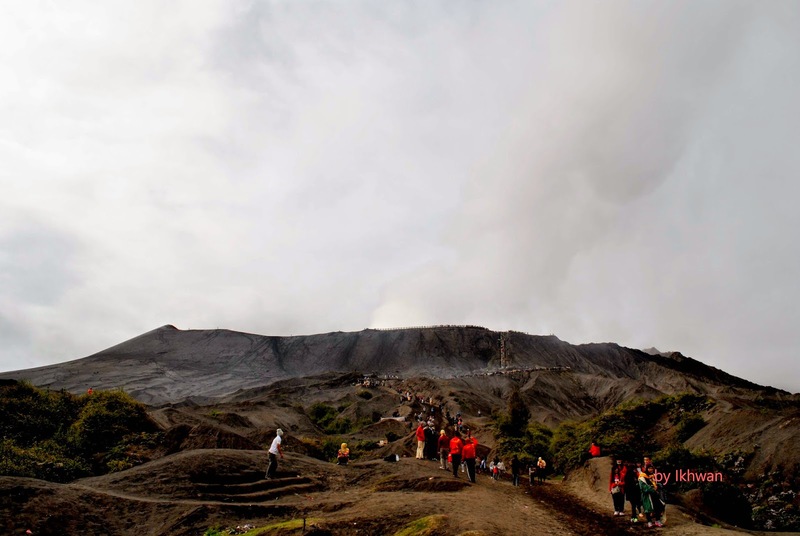 We had booked a tour in Bromo in advance. Since we had to be there early morning (before sunrise), we decided not to book any hotel. We were just going to sleep in the car. We arrived Probolinggo at almost midnight and the shops were all closed. 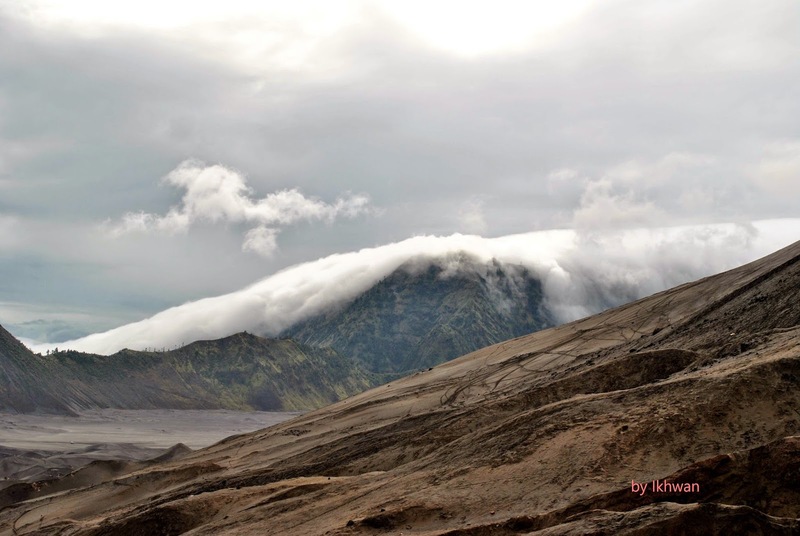 So, we headed straight to Bromo instead. Along the way, I noticed a very bright coffee house. The coffee house was the brightest and caught my attention immediately but we did not stop. However, we were already very hungry and the thought of having Oreo and snacks for dinner were discouraging. So, I asked Roy to make a U-turn and stopped at the coffee house. The name was Bromo Coffee House. They were owned by a group of young men. They were so friendly and let us rest and stay for few hours before driving up to Bromo. One of the owners is Bama. 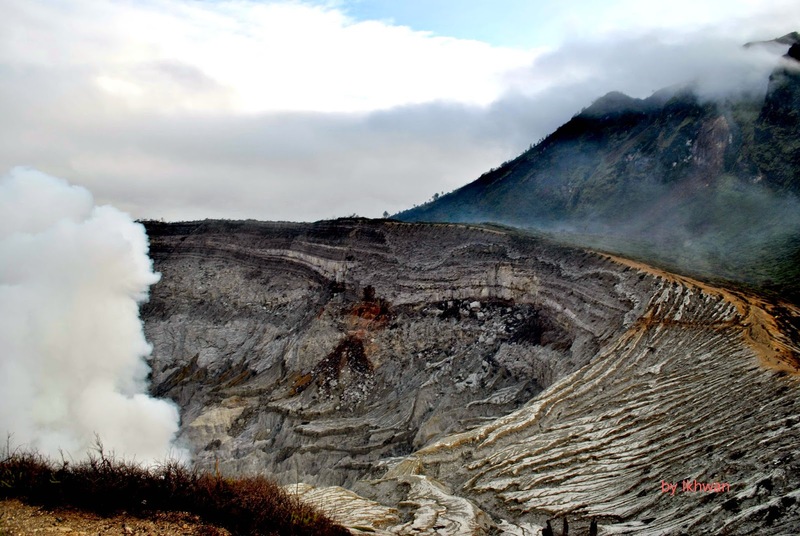 During the stay, I googled attractions in Banyuwangi and found Ijen Volcano which has blue flamed lava. He suggested us to go there and agreed to follow and guide us. Yay! 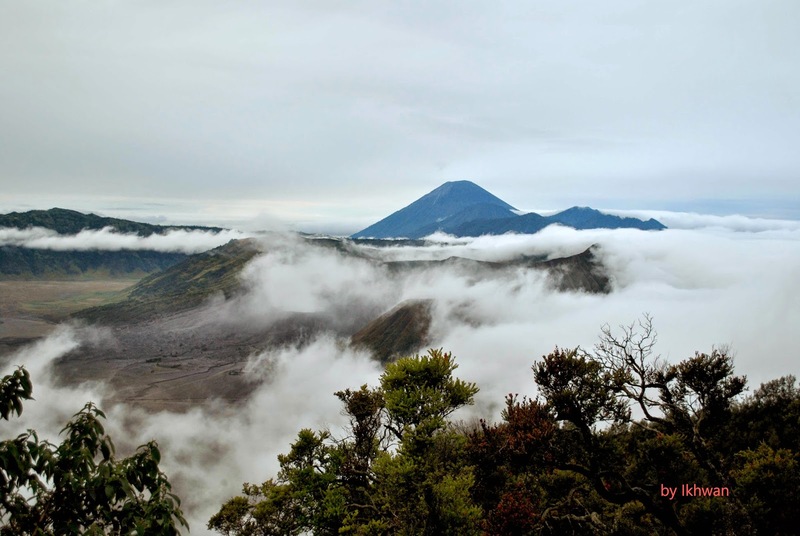 Because of that we got a place to stay for a day for free after we returned from Bromo. 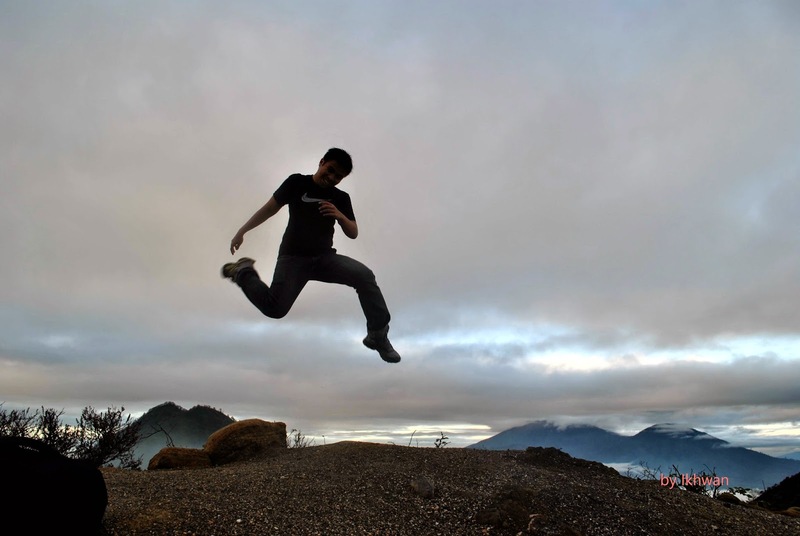 At 2am, we went uphill to Bromo. The road was very dark and scary. We did not know what to expect until we reached the area where the jeep waited for us. 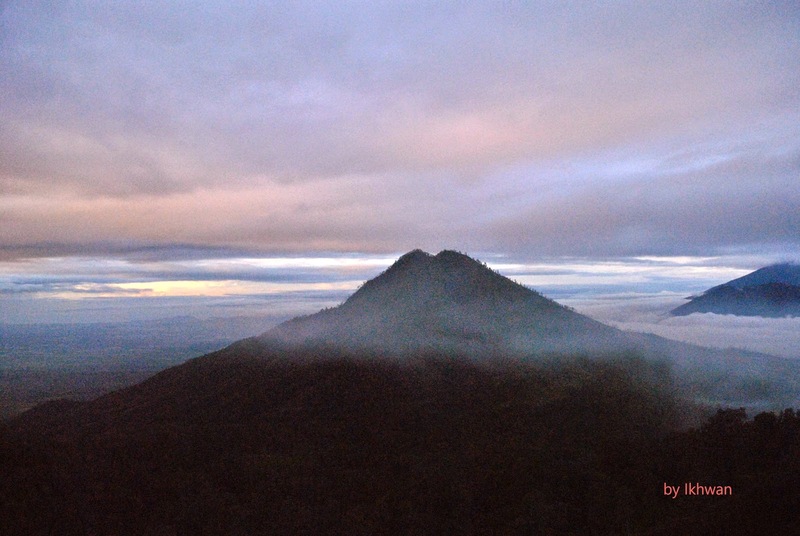 So, after settling the payments we immediately went straight to Mount Penanjakan. There were already hundreds of cars parked at the side of the road. So, we had to hike a little bit to the summit. No worries because the path was an established tarred road. It was quite cold while waiting for the sunrise, but when the sun started to appear, we were amazed by the amazing view. It was cloudy and gloomy so the view was not that great. I visited again a year later and the view was superb. 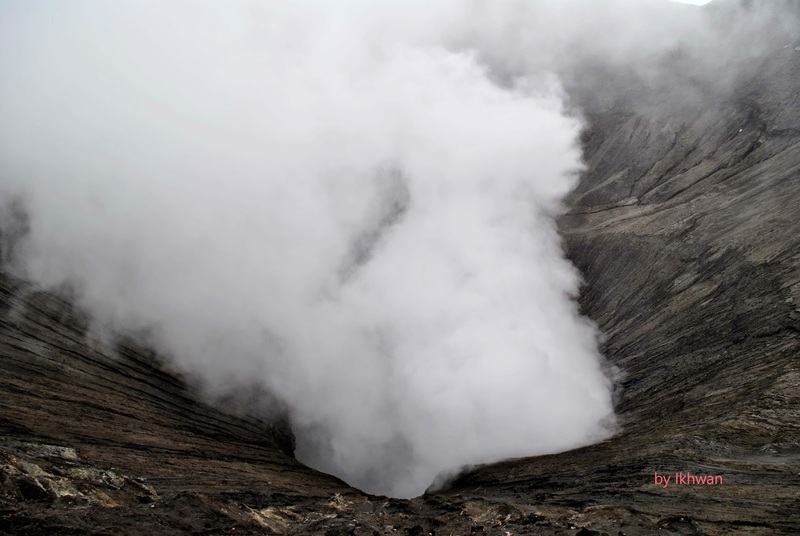 After that, we went to Bromo Volcano. We were persuaded by the locals to ride on a horse but I was a cheap skate. So we decided not to ride on the horse. 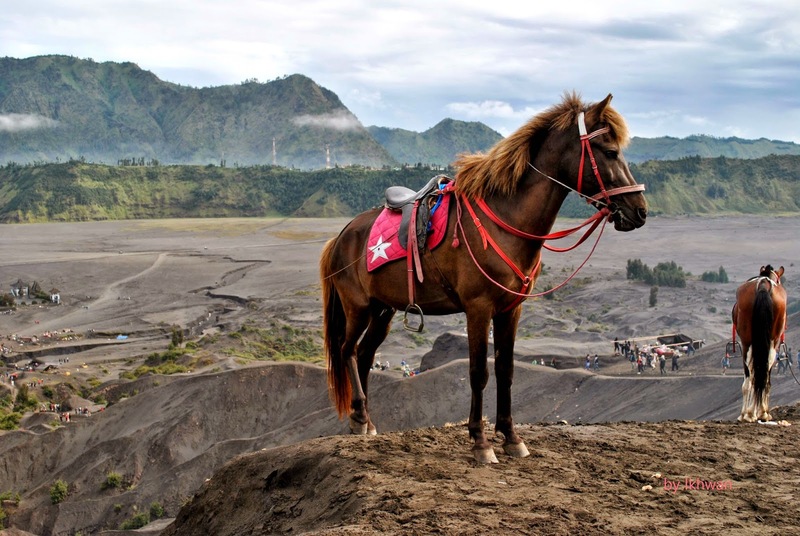 Besides, I felt pity for the small horses because they had to hike and carry people along. So cruel. 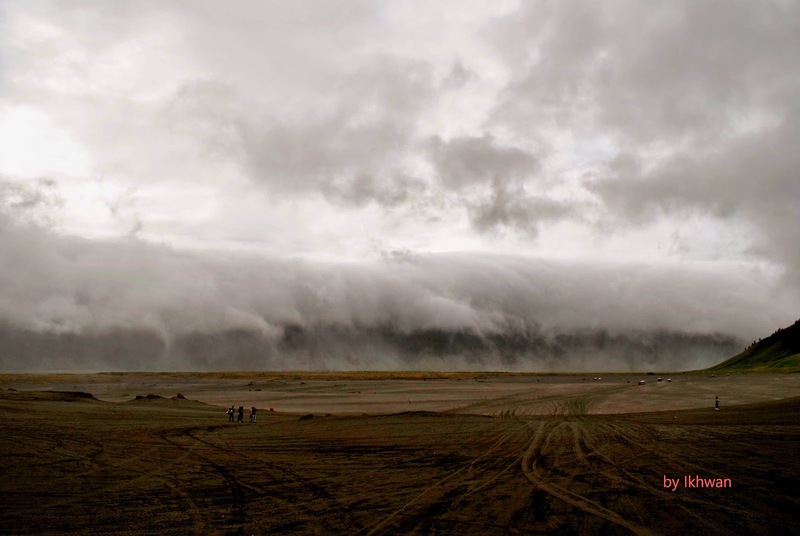 Bromo was last erupted in 2011. It is still very active now and emitting huge amount of poisonous gas. From the distance, we could smell the pungent smell of sulphur. When the gas reacted with the rain droplets, it produce an acidic drops that made my skin burned and itched. (You have to experience it yourself to understand better). The gas chamber. The smell was strong here. Clouds slowly blanketing the highlands. Seems mysterious but very nice at the same time. This is taken at Pasir Berbisik. More clouds were coming in. Unfortunately, rain started to drop when we arrived at Teletubbies Hill. We did not get any awesome pictures there. Luckily, we did managed to reached Pasir Berbisik before it started raining heavily. Because of the clouds and rains, I decided to visit this place again. (I did it a year later). We returned to Bromo Coffee House and we slept until late afternoon. We went down to Probolinggo to eat KFC (KFC in Malaysia is way much yummier). At 11pm that night, we drove to Ijen via Bondowoso as planned earlier. 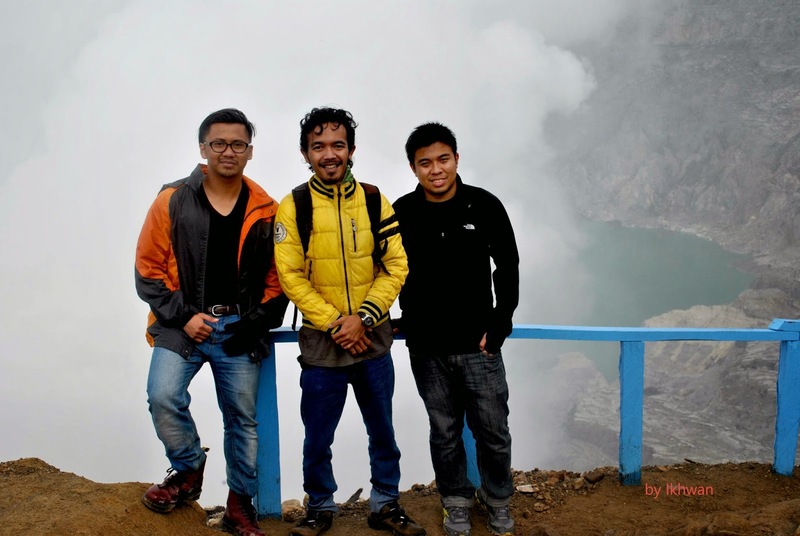 Bama followed us as a guide (I found out later that he had never been to Ijen before). We did not make enough research to be honest. We should have arrived way earlier but we arrived at 3am. The hike took us another 1 hour and half. If we had known, I would have asked Roy to start driving early. We did not get to see the blue flame as the sun was already rising but I was satisfied with the view. Approaching the crater. The sun was already rising. 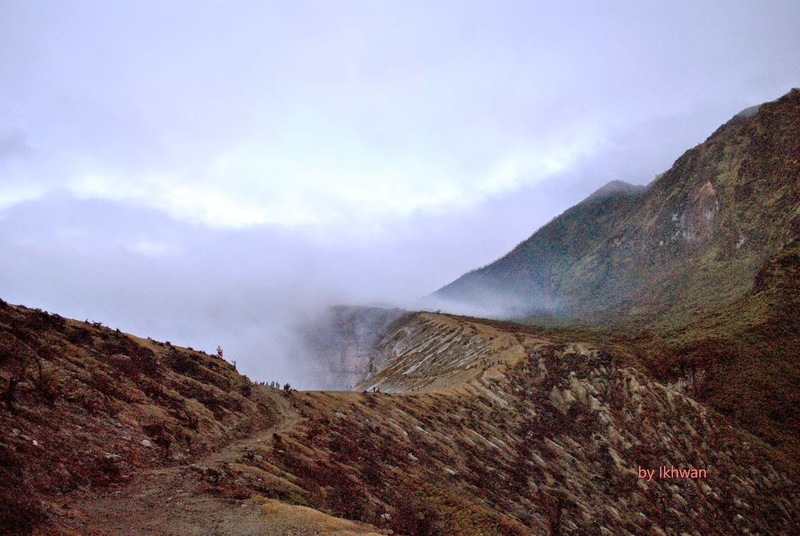 View of Mount Raung from Ijen. 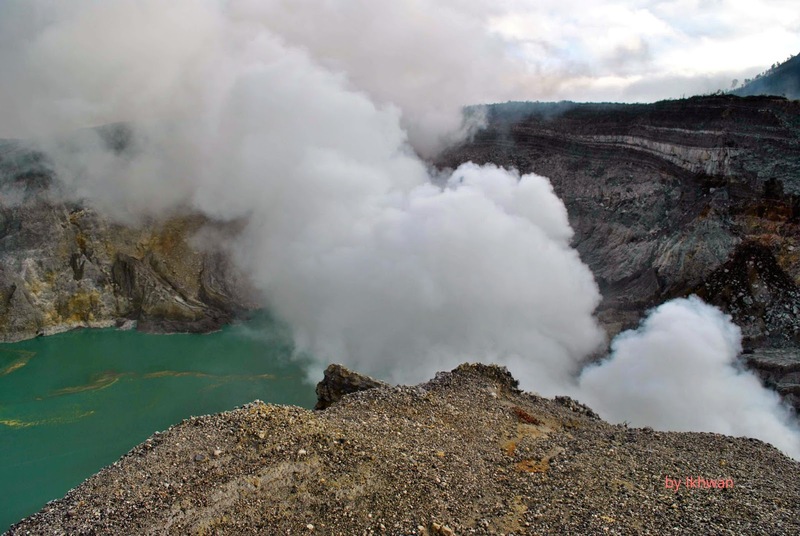 She erupted in June 2015. 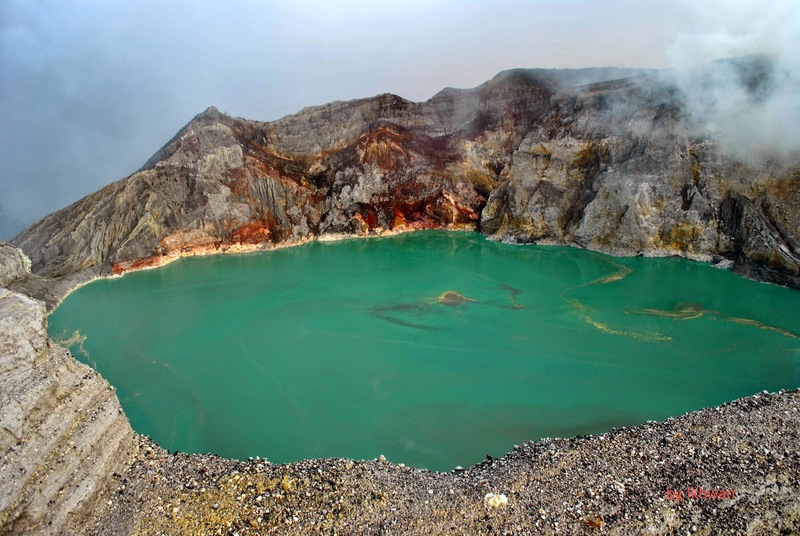 The crater is filled with acidic lake. Do not dare to swim. We did not go down to the source of the lava. This was taken at the edge of the crater. I had this thing with jumping. Me, my buddy and Bama. We hiked all the way back to the foothill. Along the way, we met with local sulphur miners. I was impressed with their ability to carry heavy sulphur going downhill (I learned later in 2014 that these miners actually risked their lives to extract the sulphur near the source of the blue flame. They had to climb with heavy rocks up to the edge of the crater. They did this twice a day. How amazing). 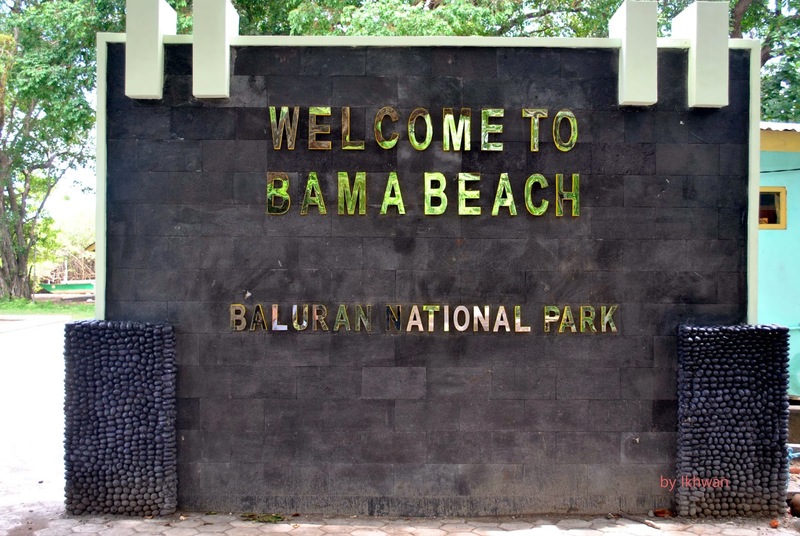 Later, we reached Banyuwangi in the afternoon and went straight to Baluran National Park. 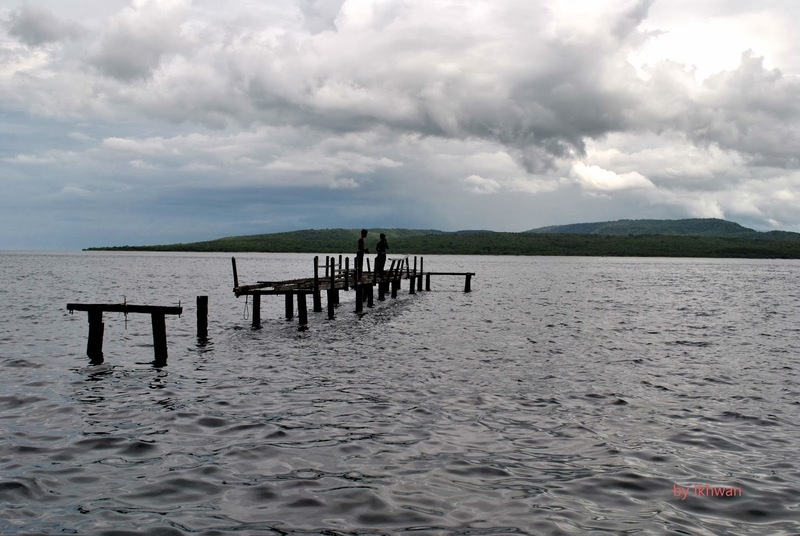 I was seduced by the image of Baluran floating in the internet. So, I insisted my buddies to agree with my suggestion and we drove to Baluran. 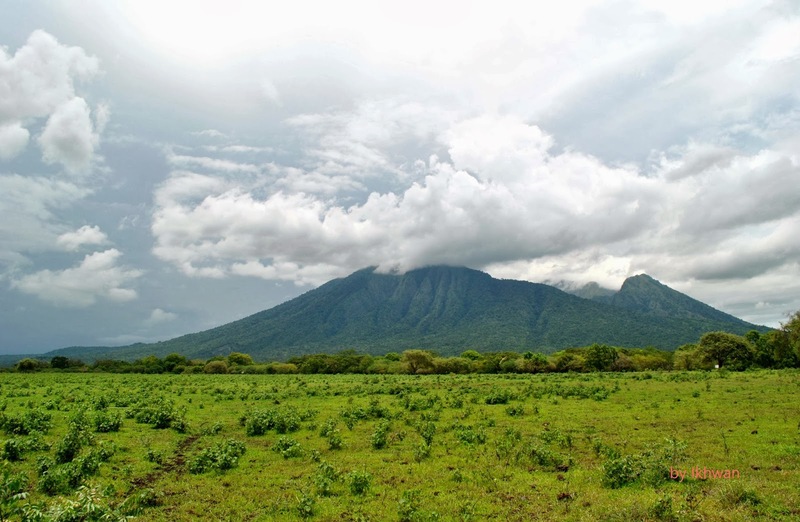 Mount Baluran from the park. Due to wet season, the field was all green. 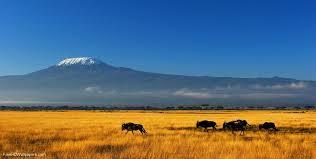 From the image that I had seen in the internet, it was supposed to look like Savanna with Kilimanjaro in the distance. One day, I will reach this place and climb Mt Kilimanjaro. The park was badly maintained and it was quite small. It looked more like an animal sanctuary. We arrived at noon, so the fishing monkey at Bama Beach was gone and the bulls were hiding. Bama Beach is where we were supposed to see the fishing monkeys. We returned to Banyuwangi and ate a restaurant facing Bali. Another journey ahead of us across the strait. I could not wait anymore. Bali just across the strait. 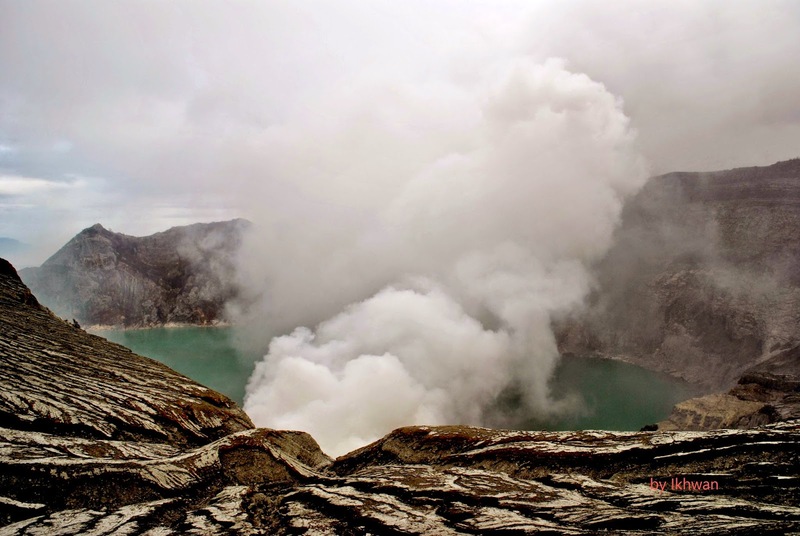 We were really happy with what we had experience in East Java. Definitely worth to return to. I don’t know the reason why I can’t subscribe to it. Is there anyone else having identical RSS problems?